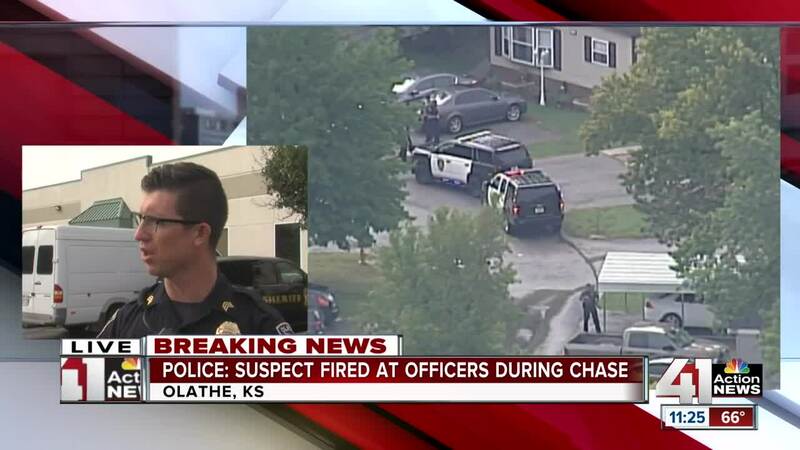 Olathe police are searching for an armed man who allegedly fired at an officer during a foot chase on Monday morning. KANSAS CITY, Mo. 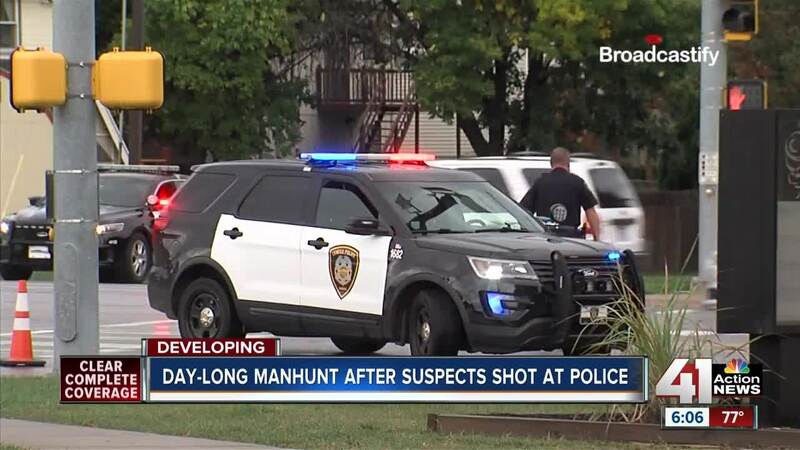 — A second suspect who allegedly fired at Olathe police officers during a foot chase Monday morning has been captured, according to police. Police say he was arrested without incident. At least one firearm was recovered from the suspect but officers didn't offer any other details. The officer was not injured, police said. The officer did return fire, but it is unclear if the man was struck. Another man is already in custody, police said. "I heard one gunshot and I looked out my bedroom window and I [saw] a gun running to the neighbor’s backyard and climbing his fence," said Tina Mrzlak, who witnessed police running up and down her neighborhood. The incident occurred near the 1400 block of North Mart-way Drive . Two nearby schools, Washington Elementary School and Santa Fe Trail Middle School, were on lockdown shortly before 11 a.m., a school spokesperson said. “All throughout the morning I’ve been getting calls and messages—‘Where you at? Are you safe?’,” Edson Maldonado, who lives in the area, said. “It’s genuinely a decently safe community never you never think to lock the doors in the area stuff like that so once again yeah this is not something you expect to come home to,” Steven Hadaegh, another resident said. Sgt. 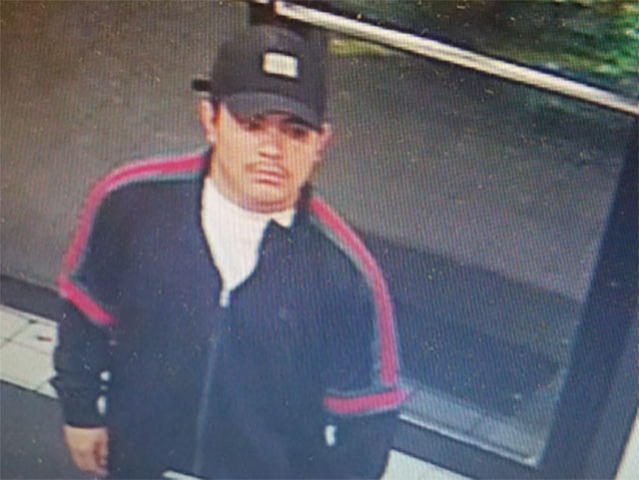 Logan Bonney, a spokesman for Olathe police, said officers were searching for a Hispanic male wearing all black and a jacket with a red stripe. Bonney said the man is considered armed and “extremely dangerous” and warned that no one should confront him. "I looked out my window and there was a guy standing behind my daughters trampoline. That's when I called 911," one neighbor, who did not want to be identified, told 41 Action News. Overnight, police were investigating four aggravated robberies involving two men that occurred between 1:45 a.m. and 4 a.m. at various businesses. The description of the robbery suspects matched the description of the man at large.